The Fielding PhD in Media Psychology provides a comprehensive study in an emerging and exciting field. Media Psychology applies the psychology of human behavior and emotion to media and technology impact, design and distribution. Our students come from a variety of professional experiences and academic backgrounds with the common goal of applying psychological science to the media and technology landscape. From documentary filmmakers and educators to brand marketers and social advocates, students find their intellectual home in media psychology and leave equipped to achieve their goals and make a difference. Media psychology starts with psychology. Where traditional communication, media studies, sociology, or psychology programs focus on process or isolate media from human experience, media psychology offers the answer to the ‘why,’ integrating the expertise of psychology with in-depth knowledge of media and technology. Students explore the ways in which cognition, emotion, and instinct can influence human responses to different media stimuli and alter technological impact. Students use these skills to anticipate consumption and use patterns, engagement, and access and look for leverageable solutions to global problems, from smart technology design to economic, social, and environmental impact. Media psychologists are finding new roles across multiple domains. Fortune 100 companies, for example, increasingly recognize the need for applying media psychology to organizational communications, structure, products and strategy. Our graduates have innovated new roles working with companies like Mozilla, Fox Films, AT&T, Deutsche Telekom and Disney among others, as well as crafting new business and consulting opportunities and developing successful advocacy campaigns. Special projects within the program give students the opportunity to have real-life experience during the course of their education. Recent projects include partnering with the Department of Defense deconstructing the narrative, cognitive and neuroscience triggers of terrorism in the social space and developing brand-aligned corporate social responsibility programs for companies like Grub Hub. 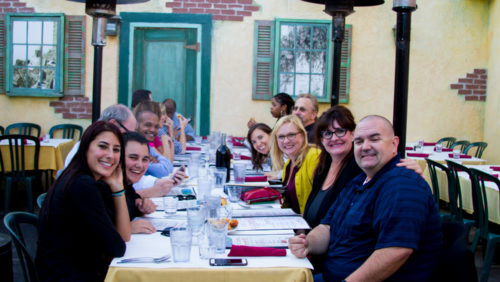 Students also participate alongside faculty and practitioners to present in forums such as Media Week, Digital Hollywood, and academic conferences such as the Pop Culture Association and the American Psychological Association. A recent student-faculty collaboration at the Pop Culture Association resulted in the publication of a book on the Fandom of Mad Men. 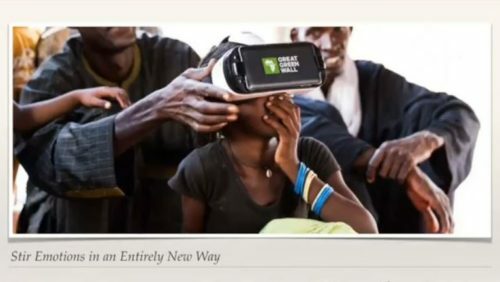 Recent presentations at the American Psychological Association created multiple offers from publishers for books on brand psychology, immersive reality and media ethics. You don’t have to move or quit your job to study at Fielding. Coursework is offered in a distributed environment, making it possible for you to balance your studies with the demands of work, family, and community commitments. There are also plenty of opportunities to network and collaborate with faculty and peers both online and in-person. You can tailor your degree to follow your passions and achieve your goals. You will partner with faculty to create a customized plan of study and research. You may also elect to study popular topics, such as immersive media & augmented reality, media literacy, social impacts of technology, neuromarketing and the psychology of brand storytelling. At Fielding, we encourage you to use what you already know to inform your research. Our goal is to support yours. You are the driver of your educational journey. Every faculty member is committed to helping you build a program that will achieve your goals, from individual coursework to your dissertation. "As the first doctoral program in an emerging field, we are innovators in the media psychology discipline. As a student in the program, you can help create and define this exciting field." We use course sites, video conferencing, in-person orientation and media events around the nation. Check out these dates for our live info sessions, or check out our on-demand recordings of previous sessions. 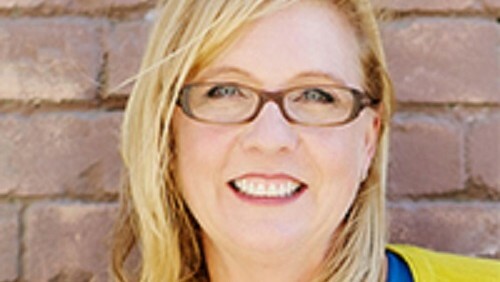 Media Psychologist Linda Durnell reflects on the positive impact of virtual reality. Complete the 8-day requirement by visiting cutting-edge conferences and events with world-class media psychologists around the U.S.
You will join a vigorous community of expert faculty, students, and professional alumni who represent a rich tapestry of social, ethnic, and cultural perspectives. You will discover a wide range of research and professional opportunities from the multidisciplinary expertise of our faculty whose backgrounds include social marketing, brand psychology, media strategy, audience engagement, social storytelling, and more. Our students come from around the world with diverse backgrounds to continue their work in innovative and emerging fields. There is a growing need for professionals with expertise in how media impacts human behavior. Our students are developing the skills and knowledge that lead to careers in a variety of fields that include academia and research, advocacy through foundations and NGOs, Fortune 500 strategic roles, innovations in public information, and social storytelling. 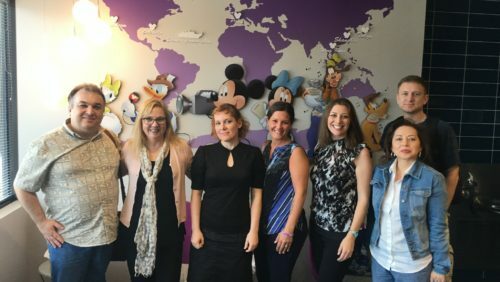 This photo was taken at Disney Production Studios during a recent cluster with students and faculty in order to get a behind-the-scenes look at how Media Psychologists work at Disney.